This kid-focused offshoot to Moon + Arrow brings those same positive vibes we already love to Philly’s pint-sized free spirits. 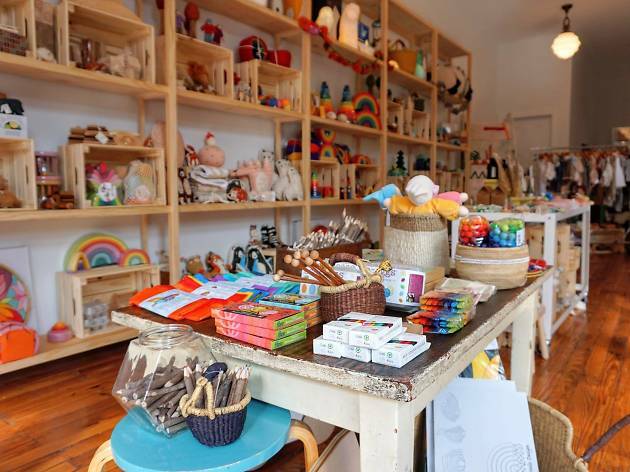 The space, all light-filled, high-ceilinged and wood-accented, stands at the corner of 4th and Pemberton streets, and is as inviting to the single aunt intent on sourcing the coolest gift for her niece or nephew as it is for a family of six, trying desperately to bribe baby with a locally made rattle. The merchandise here is made from simple, high-quality and natural materials. 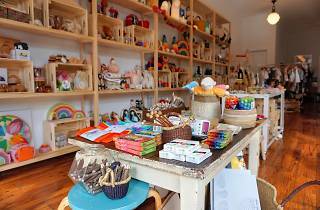 Think wooden blocks, cotton dress-up clothes, natural craft supplies, illustrated books, stuffed animals and vintage-inspired puppets. A standout is Germantown-based maker Lila Stuempfig’s Waldorf-style handmade dolls that come with such cool clothes that you’ll wish they made them in your your size.